John Danaher DVD Instructional: Armbars – What Is Inside? It’s here! John Danaher’s NEW DVD/DIGITAL instructional about ARMBARS just got released, so don’t forget to get it directly from HERE. The “Enter The System” instructional series by John Danaher certainly changed how we look at Jiu-Jitsu. Form the very first John Danaher DVD instructional that was all about his signature leg locks, we got to learn all of Danaher’s favorite submission systems. While the series is aimed at No-Gi competition, most, if not all of the moves in it are more than applicable in the Gi. After the initial leg locks DVD, Danaher went on to provide us with incredible information on his back attack, front headlock system, Kimura system, and just recently, his Triangle choke system. This brought the total number of Danaher DVDs to five. However, it seems the enigmatic coach was not done. Another, this time the final, part of ‘Enter The Series”just hit the shelves. In it, Danaher is focusing on the last remaining “giant” of BJJ moves – the armbar. There’s not much that we can say about expectations from a John Danaher DVD Instructional. As it seems, Danaher is about to add 10 more hours of wisdom to what we already have. The Armbar installment of “Enter The System” is the last of the series, as we understand. However, this does not mean that Danaher is going to crawl back to secrecy and isolation again. On the contrary, he is to continue sharing his unique understanding of the Gentle Art via more digital instructionals. Watch this space closely as we’ll uncover what exactly those are going to be in the next few days. Until then, we leave you with our preview of the upcoming Enter The System: Armbar John Danaher DVD Instructional. The armbar or Juji Gatame/ Ude Hishigi Juji Gatame is a submission hold that targets the elbow joint. While it is mostly associated with Judo, its origins might be much older. In fact, there’s evidence that a variation of the armbar was used even as far as ancient Greece. Even then, this is not the exact point that the armbar came to be. Most likely, it has its roots in the very first wrestling systems that developed in India. Basically, the armbar, as a submission, is arguably as old as grappling martial arts themselves. Today, the armbar is a move that people associate with Judo and Brazilian Jiu-Jitsu. This reliable submission hold is a favorite for a multitude of reasons. It is not hard to understand or perform, it works against opponents of all sizes, it works from many positions and it has a very high degree of success. Regardless if it is a grappling martial arts setting or an MMA one, the armbar is a go-to move. The basic mechanic of the armbar is very easy to understand. So much so, in fact, that the armbar is often the go-to example to demonstrate more complex grappling moves. The armbar is a great example of a lever and fulcrum in action. The fulcrum, in this instance, is the hips, while the arm is the lever. The goal is to place pressure on the elbow joint, in a direction opposite of its natural bend. The result we’re after is the opponent’s tap – acknowledging defeat. A result that might occur if this does not happen is a hyperextension of the elbow joint and a serious injury to the arm. The latest John Danaher DVD instructional is about to shed even more light on this crucial grappling move. The Juji Gatame, as we know it today, is a submission hold that’s entirely a Japanese creation. In fact, it’s exact age is impossible to pinpoint precisely due to this fact. Up until the 20th century, Japan was a very isolated country. People outside Japan never knew much about the intricacies of their culture, and this included martial arts. The moment Japan opened up, a wealth of knowledge poured out. Among that knowledge was a certain Judo classic, in the form of the armbar, or Juji Gatame. There is some evidence of a form of the Juji Gatame dating back to ancient Greece. However, there’s no image to confirm this, and the method of submission was probably different from the Japanese. In Japan, the armbar is a staple of Judo, which, as we know, evolved from the early Ju-Jitsu the Samurai used. When on the battlefield, the samurai found striking ineffective due to the heavy armor they wore. So, throws, chokes and joint manipulations were a more logical choice. As warfare turned to sport, the armbar was one of the moves that successfully made the transition. In BJJ, the Juji Gatame was huge from the very beginning. Carlos Gracie himself was a huge fan of the move and worked tirelessly to perfect it. 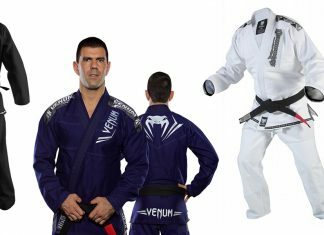 Evolution saw the Gracies setting armbars up from the back for the first time in history, giving BJJ a significant role in its development. The armbar was also adopted by the grappling arts as Sambo and catch wrestling, for example. The latest applications of the armbar come in modern MMA, in a sense that’s actually closer to the Samurai battlefield. 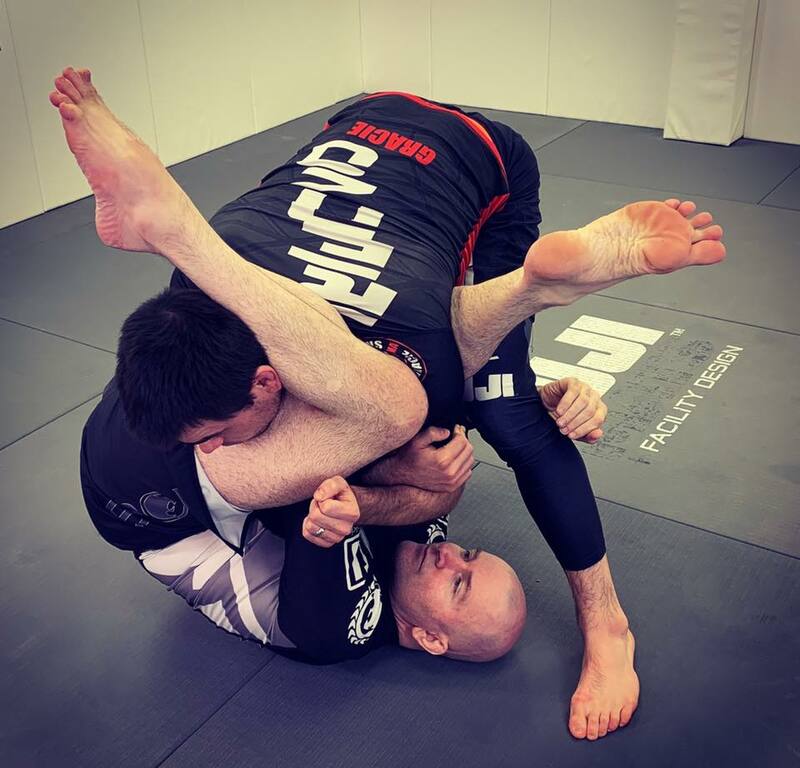 Now, with the Enter The System: Armbar John Danaher DVD Instructional the Juji Gatame is about to make another big step forward in its development. So far, John Danaher’s systems have been nothing short of miraculous. Danaher’s understanding of Jiu-Jitsu is at such an incredible level, that he makes even black belts get that Eureka moment. To put things into perspective, black belts are usually the people that give the Eureka moment to others. While you might think that this makes Danaher’s work only applies to advanced grapplers you’re mistaken. His DVDs cover everything, from the very basics up to crazy stuff that only a handful of people can execute (so far). The real world effects of Dahaher’s “Enter The System” DVD Collection are apparent everywhere. From white belt division all the way to the very top levels of the sport, people are putting his principles to practice. Given that they work, we can expect to see much more of them in the incoming years. After all, there are more than 50 hours of material available at the moment. On top of that, Danaher seems relentless in his pursuit to change Jiu-Jitsu once and for all. As far as we can see, he is more than successful. The final John Danaher DVD Instructional of the “Enter The System” series is a very fitting one to bring it to a wrap. The armbar, as we saw earlier, is as old as grappling. This means that the information on this simple joint lock is more than ample. Knowing the John likes to collect all the information he can before developing a system, this means you can expect the most in-depth armbar DVD ever released. And this includes other Danaher DVD’s released up to date. So far, every part of the Enter The System series was a No-Gi instructional. As John himself confirmed, this last one is also going to be in the No-Gi. It also rounds off all the submission systems upon which his No-Gi grappling system is built. Apart from leg locks, back attacks, guillotines, Kimuras, triangles, and armbars, Danaher considers other submissions to be largely ineffective. In terms of contents, Danaher has displayed a lot of variety so far. Of course, his systematization is unique, so every John Danaher DVD instructional so far was different. For example, we saw narrated rolls in the Kimura DVD. Or, we saw a lot of attention to standing in the front headlocks one. There was even an unexpected cover of the Truck position in the back attacks DVD. All in all, Danaher is one that can surprise everyone with the very basics, and that is exactly he managed to do once again in this latest Juji Gatame DVD. Of course, this John Danaher DVD instructional begins with an introduction to the complete armbar system. First, John goes over the key points of his system, before committing to a more precise step-by-step introduction. In a typical Danaher fashion, he divides the armbar into two main categories here: the speed armbar and the control armbar. According to him, the armbar works in 6 different phases, starting with the entry and ending with breaking mechanics. In between, you’ll learn all about control, orientation, configuration and separation as the main principles behind the Juji Gatame. OF course, the central problem, which is another Danaher trademark, gets discussed here as well. A list of the core principles behind the straight armbar rounds off DVD #1. Now that armbar phases are clear, Danaher goes deep into each pone. However, rather uniquely, He doesn’t do it in the order that he listed them in. On the contrary, he starts with the mechanics of breaking, which come last. This makes a lot of sense when you think of it because this is your ultimate goal and you need to know how to arrive at it most efficiently. In this volume, John also covers some subjects that are often the source of a lot of confusion. These include the age-old conundrum of whether you should cross your feet, for example. Similar to the Back Attacks and Kimura series, Danaher has pros and cons for both. Also featuring are grip breaks, specific movement from the armbar position and some neat rolling finishes. The third volume of the Enter The System: Armbars John Danaher DVD Instructional continues with the phases of the armbar. Here, a lot of attention goes into the mechanics of separation (phase 5) as the penultimate armbar phase. In fact, half of this volume covers nothing but this innovative moment in executing the Juji Gatame. Before he moves on to some common and uncommon entries, John talks about the cross chest position. It is a core position when it comes to armbaring people and Danaher has some key information to help clear it up. There are no less than 5 progressions of hand positioning, which is as detailed as you can get. The multiplicity principle precedes five chapters that cover entries into the Juji Gatame position. The cherry on the cake is another discussion on speed and control based armbars. IN the fourth volume, John covers everything there is about armbars off your back. The first thing he does is cover the top lock. If you want to become truly efficient with bottom armbars, you need to pay attention to two specific chapters in this volume. The first is the role of the head and elbow in the Juji Gatame. It is going to teach you how to always get into the correct finishing position every time! Danaher has a simple two-step process to get the armbar from guard. It is simple and precise and will leave you dumbstruck. He also covers some troubleshooting issues that often arise. Subjects also covered are shoulder position, pivot points, how to sweep with armbars and a very basic bottom armbar finish. In fact, it is so basic John refers to it as “Classroom bottom armbar”. The second chapter you really need to understand is in this part of the instructional and is all about the critical armbar law and the so-called revealing test. A few grip variations bring this volume to a close. John Danaher continues where he left off by covering the head and hips here. he has two iron rules that concern these bodyparts which all but guarantee an armbar finish. All you need to do is listen and abide by them. Next, you get the inside information on how to hit a 3 quarter armbar and even transition into the belly down armbar. The sixth part of this instructional is the first of the top position volumes. In it, Danaher switches his attention to the top position armbar. After the bottom none, this is the second major armbaring position in Jiu-Jitsu. What should you really pay attention to in this volume? Well, the second chapter about the ratchet concept is a great one to start with. There’s another law of armbars here in the form of the elbow and shoulder line. Along with the head and hips rule, this is an unbreakable iron principle. It makes the top position armbar make sense even before John demonstrates it entirely. A mount setup follows, which is one of the best ways to get a control armbar. Plenty of details here, but one stands out above all others – the shoulder wedge. You might remember Gordon Ryan doing it at EBI 14. To wrap the volume up, John goes over everything again, helping you put everything together. In the penultimate volume, John’s attention is still on the mount, However, after covering the “classroom armbar’ already, he now ventures into some more original variations. In other words, this is the volume with the stuff we’ve been waiting for. The underhook get s a lot of attention here, along with key information on pinning people from the top. There’s also a drill in this part that John labels as the “most important drill fro armbar mastery”. As always you need to make sure you understand it, and then drill the hell out of it in training. Following suit are some side control setups. This is where pinning plays a huge role, particularly in the entry phase. Speaking of side control, the inevitable spinning armbar makes an appearance here. Turns out, Danaher has a foolproof method for it as well. A couple of nearside armbar finishes bring this DVD to a close. As if a John Danaher DVD Instructional could go without leg locks. This one is no exception. In the final volume, Danaher covers the relationship between the Juji Gatame and lower body attacks. Kneebars, toeholds and heel hooks all make an appearance as John moves between leg and arm locks for an ultimate effect. Speaking of John Danaher trademarks, this volume once again features some original specials. In the case of the Juji Gatame, it is the rolling armbar setup. here, Danaher covers no less than 5 different ways to roll the opponent into the Juji-Gatame. These are all high-percentage setups that will work for anyone, so do not be intimidated by the rolling part of it. Finally, John leaves us with a Juji Gatame setup from the back to make sure every single rock is turned.